On Saturday, I started researching the topic in an aim, that day, to get organized for 2014. But it was too great a task, to finish in one day. I had already decided that making a resolution was not enough for me and what I really needed to do was to make some goals. I even completed some exercises to help me decide on my goals for the year. But it still wasn’t enough; I had only touched the tip of the iceberg. Last night, after dinner, it was finally time to tackle the big question: What are my goals for 2014? So having learnt in my research that one of the most important things in achieving your goals, is actually writing them down, that is where I started. I pulled out my journal and began writing them down, but before long it was clear that I needed to add structure to my thoughts. The process was becoming too stressful. What do I do when something becomes overwhelming and stressful? 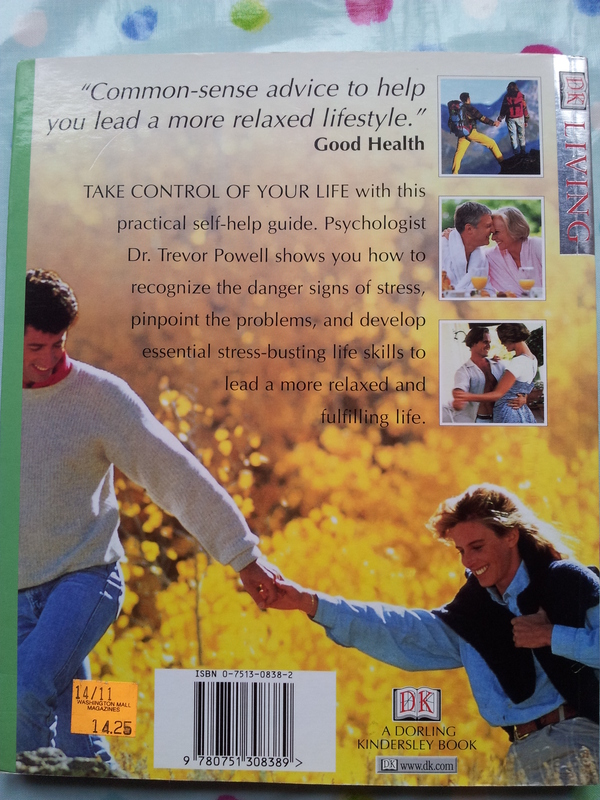 I pull out my DK Living book Stress Free Living by Dr. Trevor Powell. I have had this book since, well forever; looking at the publishing information, maybe 2000. That was 14 years ago. 14 years ago I was 18. When I was 18, I was stressed from a busy year having just moved on to my post-graduate year after graduating High School in Bermuda. This was the year I was deciding where to go to university ( the US or Canada) and what to study, in addition to adjusting to a new school. 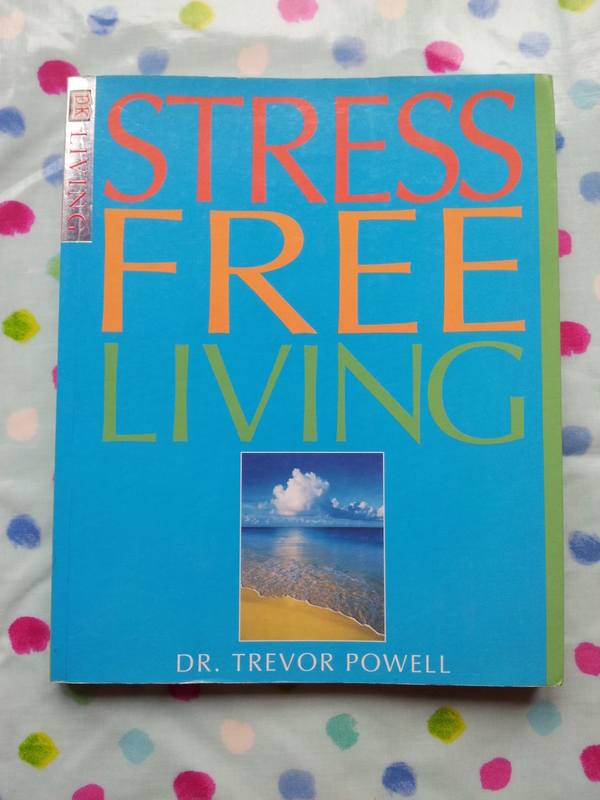 However old this book truly is, it has been a great reference book, and it is a book I recommend to anyone who is stressed by any situation. I think I will do a review on it in Good Reads, because there are too many good things to say about it, to handle them here in this post. Really you should get your hands on it! So, I want to take this chance to ask you a few questions. Have any of you out there been thinking about making goals for 2014 or maybe you’ve already made them? In any case, I would love to hear from any readers, even if you are my friend or relative, I would love to hear from you and hear about your goals or resolutions for 2014. If you haven’t made any, what are your reasons for not making any? For me it’s all part of the process and extremely interesting! And if you are a quilter or homemaker I am even more interested in what in particular your goals for the year are, or if you are not willing to share them, how you go about making your goals. Are you OCD (like me) or are you more casual in your goal making. What’s your process? What ever you have to say on the topic, I would love to hear it, either in a comment or by email ebbenflowz@hotmail.com . I have to make this brief because I do not want to be late for school. I totally relate to this post. My experience with the process of goal setting has gone from making hosts of lists of things to accomplish with no means of getting there, to more recently making steps to achieve the goals. I’m a work in progress and goal setting could be a goal of 2014. Funny enough my principle asked us all to write out goals for ourselves in 10 years so that we can time capsule them away! I’m going to have to get working on these!